Rental properties are a fantastic investment when they are bought below market value and with plenty of cash flow. However, It is not easy to get started investing in rental properties quickly. I think rental properties are such a great investment that I have bought 20 rental properties and I plan to purchase 100 total. The truth is very few people who intend to invest in rental properties actually buy a property. There are many reasons why people do not buy rentals: money, time, education or the availability of good rental properties! There are many facets to making a great rental property investment; finding properties, finding financing, saving money, finding real estate agents and finding great contractors. It takes a lot of time, effort and determination to buy great rental properties. I make over $12,000 a month from my rental properties, which is one reason I love rentals so much. However, it took me a long time to buy my first property after I knew I wanted to be an investor. I got my real estate license in 2001 and I didn’t buy my first rental property until 2010. I decided I wanted to buy a rental property for about three years before I actually did. Knowing what I know now, I wish I would have started much quicker, and this article will discuss ways to buy rental properties quicker and jump-start your investing career. Why does it take so long to buy an investment? My career is real estate and I was in the business ten years before I bought my first rental property. I knew I should invest in rentals, because of the great returns, tax advantages and other benefits of rental properties. It took me a long time to educate myself about rental properties because they don’t teach you about rentals when you become a real estate agent. I read a lot of books, researched my market, determined market rents and found the best neighborhoods to invest in. I wanted to make sure I knew exactly what I was doing before I bought my first rental property and what the positives and negatives were. It took me a long time to save up the money to buy a rental property and I did not want to screw up and lose it all. I was okay with taking a long time to buy a rental property because it was a huge purchase and milestone. I also had some major things going on in my life like buying a new house and my wife and I had twins in 2011 (she was pregnant when I bought my first rental). The biggest issue I had was saving up enough money to buy a rental property, but I now realize there are quite a few ways to buy rentals with little money down. There are also ways to speed up the process and educate yourself quickly while also getting involved in the business. One of the great things about rental properties is you do not have to buy a property to start learning or take action. You can look at properties with an agent, talk to a lender, determine values and do many other things to learn about your market and educate yourself before you buy. Why does it take me so long? My biggest issue was saving enough money to buy a rental property. There are ways to buy a rental property with little money down, but when I started investing I already had a personal residence and did not know about many of the ways to invest in rental properties with less than 20% down. I was able to save money at some points but then ended up spending it on other things like a new personal residence, a car or vacation. Saving money is the key to being able to make a lot of money with rental properties. Saving money is the key to successfully investing in almost any venture! Most people have the same problem as I did when I tried to buy my first rental property. They do not have enough money for the down payment, repairs, closing costs and carrying costs. Here is a great article that explains how much money is required to buy a rental property. To get the great returns on rental properties that I get, you will have to use some of your own money. The less money you put down on a property the more expensive the money you borrow will be and the smaller your returns will be. I still like to finance all of my rental properties, but I always put at least 20% down unless using the BRRRR method. How long will it take you to buy? When I became serious about investing in rental properties, it still took me over two years to buy my first property. I don’t want to discourage anyone, but it can take some time. During those two years, I was not sitting idle; I was working hard to find a great deal, figure out the best place to invest and make sure I had enough money to invest. You can invest in rentals quicker than I did or it can take even more time depending on your financial situation, education level and drive. Buying rental properties has been one of the best decisions I ever made and rarely do the best things in life come quickly. Some investors will buy a rental property within one month and some will take five years, while others will never buy a rental. Don’t stress yourself out about buying a property as quickly as you can. The time it takes varies with every person based on the money they have, their goals, their market and much more. I think it does help to set a goal for when you will buy your first rental. Here is a great article on why college students should invest in real estate. What are the most important things to know? The reason it takes a long time to invest in rental properties is there is a lot to learn. You need to know your local market or the market you plan to invest in. To get the best returns you can’t rely solely on a real estate agent or someone else to tell you what to do. You need to decide on the best type of property to invest in. 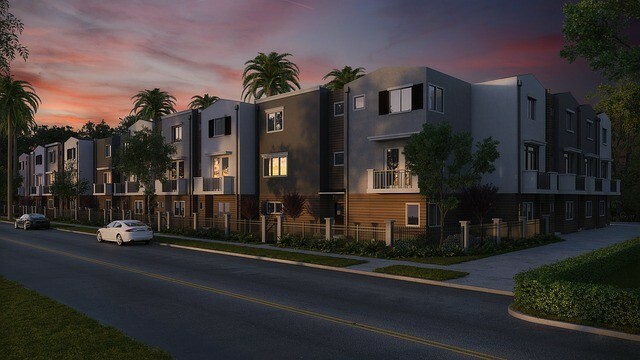 I like single family homes, but other markets are better for multifamily. You need to know how much money you will need to invest and how you will finance the properties. You need to know the cash flow and returns you will get from your rental properties. You have to find a great team to help you invest including a real estate agent, lender, and contractor. The most important factor may be your own personal goals. Each person has different wants and ambitions in life. Your plan for rental properties will be different depending on what your goals are. You need to know what a good rental property is. Not every market and not every house makes a good rental. 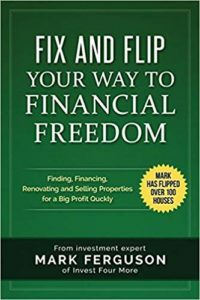 You need to figure out how to fix the properties if you are buying houses that need work. It takes time to figure out your goals and then decide on a plan of action on how to achieve those goals. Most people give up and do not invest in rental properties because of all the work involved and the time it takes to get started. The good thing about people giving up is it leaves better deals for the rest of us who are willing to do what it takes. If you don’t know where to start and feel overwhelmed, don’t give up! There are many ways to plan and execute a massive task. The first step is to write a list of everything you have to do. Next, break down the list into actionable steps and prioritize the most important steps. From that list begin to create tasks that you can do now to get closer to your goal. Continue to change your task list and create new tasks as you learn more and get closer to your goals. By reading this blog you are already starting. Keep going and do not give up. Many people have an idea of how much the down payment is, but they don’t figure all the costs on a specific house. Pick a house or apartment complex in the area you want to invest in and write out what all the costs will be. If you don’t know what all the costs are, do your best with what you do know and make notes on what you need to learn. One of the most important things to know as an investor is your market. You can never start learning prices, rents, or neighborhoods soon enough. Go out and see properties ASAP! A lot of people are scared to talk to a lender. I think it becomes real at that point. Now, you may actually figure out you can buy a rental. No matter how scared you are, do it. A lender will tell you what you need and how to get it if you are not ready to buy. It is free and you have no excuse not to talk to one. A lot of people don’t know what they want in an investment. That is why they never buy one. Rentals are a math game. The better the numbers, the better the property, but you have to know the numbers. You need to be able to figure the monthly cash flow based on maintenance, vacancies, mortgage, taxes, insurance, and more. If you need help check out my cash flow calculator. 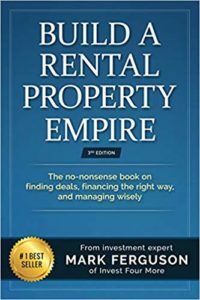 For more information on how to buy the best rentals which will make the most money, check out my book: Build a Rental Property Empire: The no-nonsense book on finding deals, financing the right way, and managing wisely. The book is 374 pages long, comes in paperback, audiobook, or as an eBook and is an Amazon bestseller. Education is a key component of investing in rental properties, but it is not the only part. In order to invest quickly, you have to take action, not just educate yourself. While you are learning about rental properties, there are many things you can do to speed up the buying process. Talk to a lender as soon as you can. If you have a credit or qualifying problem they can help you get that solved. The sooner you talk to them the better. Start looking at houses in your market area with a real estate agent. Start locating contractors and insurance agents. Start looking for portfolio lenders. Not only does performing these tasks get you involved in real estate, many times these contacts can help you learn about rental properties as well. Local contacts like real estate agents and lenders can educate you about local customs and local markets. How can your network help you move quicker? Rental properties are not a way to get rich quickly. It takes time to learn to invest in rental properties the right way so that you can make the most money. There are many ways to get involved in the rental property game quickly, even if you are not buying properties right away. One of the best ways to progress as fast you can is to get help. This could involve meeting local investors, agents, or lenders as I discussed earlier. However, most agents, lenders, and investors may not know the best ways to buy rentals. It may be better to learn from someone who is doing exactly what you want to do. There are many coaching programs available in the online real estate world. Some are great and some leave something to be desired. I would caution against spending tens of thousands of dollars on online coaching. If you want help from me I created a coaching program on rentals, if you want help elsewhere no hard feelings! The Complete Blueprint for Successful Real Estate Investing is not a one size fits all diagram for how everyone should invest. Instead, this program teaches investors how to create their own strategy in their own market. The Blueprint gives all the information needed to invest in rental properties and gives you tasks to complete to learn your market, meet the right people, find properties, find financing, get started with a little or a lot of money, and how to handle your rental properties once you buy them. The program teaches you about investing in rental properties while helping you take action at the same time. You do not have to know everything about rental properties before you start taking actionable steps towards buying your first property. I have made a lot of mistakes in my career that have taught me a lot about investing in rental properties. This program will help you avoid costly mistakes and the right ways to invest. I offer personal coaching with this program, conference calls, and audio CDs. The best part is it comes with coaching from me and a bi-monthly conference call with myself and other investors. There is a lot to learn about investing in rental properties. I still learn new things all the time, and I have been a real estate agent and investors since 2001. Don’t be overwhelmed by all the information and different strategies that involve rental properties. Every market is very different and what I do in my market may not work in your market. Take the steps to learn about your market and develop your own strategy. If you need a little boost or direction for where to start; my program may be able to help you start investing in rental properties a little quicker than doing it all on your own.